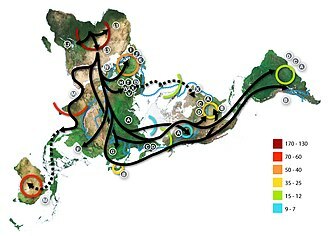 The model proposes a "single origin" of Homo sapiens in the taxonomic sense, precluding parallel evolution of traits considered anatomically modern in other regions, but not precluding multiple admixture between H. sapiens and archaic humans in Europe and Asia. 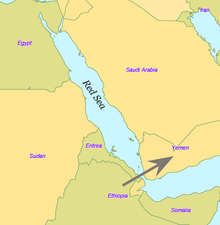 [note 1] H. sapiens most likely developed in the Horn of Africa between 300,000 and 200,000 years ago. The "recent African origin" model proposes that all modern non-African populations are substantially descended from populations of H. sapiens that left Africa after that time. This page was last edited on 4 April 2019, at 07:12 (UTC).